It is absolutely no secret to anyone that knows me that I love the Fall Season and the Holidays! Halloween, Thanksgiving…. and yes Christmas! The meals are my favorite and as I am a foodie…. of course Thanksgiving and Christmas would be my favorite Holidays of all time! I am from the south so my favorites consist of a delicious perfectly cooked turkey, a delicious amazingly baked ham, plus all of the fixings…. like my Grandmothers Cornbread Dressing, Homemade Turkey Gravy and delicious Baked Southern Mac & Cheese. 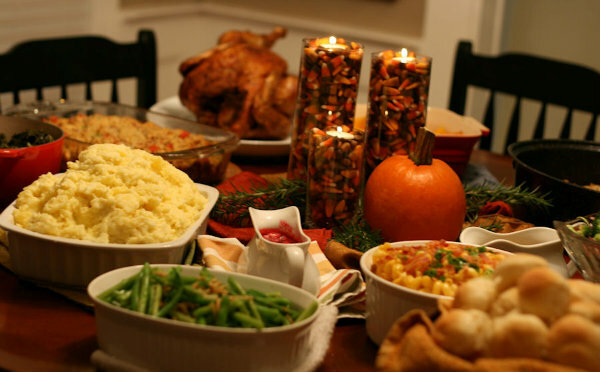 Throw in some traditional sides and delicious breads and you have a true Thanksgiving Day Feast. I love the Holidays and right now is the perfect time to update your kitchen so that Prepping For The Holidays is made easy with LG Appliances available at Best Buy. 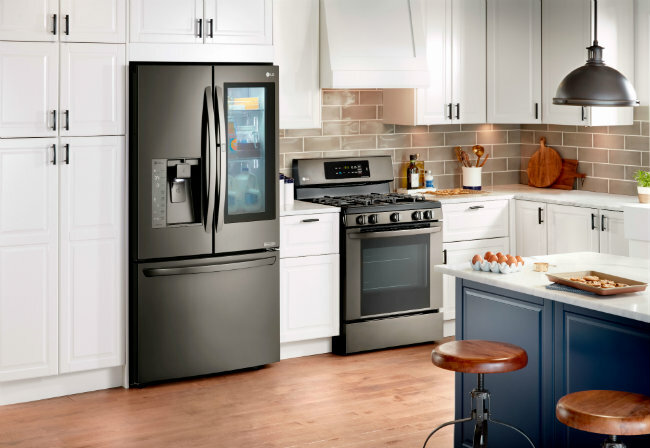 Whether you are looking to replace a single appliance or simply update your entire kitchen… LG and Best Buy have you covered. If you are prepping your home for entertaining during the holidays, you can count on Best Buy’s expert service to find you the right LG appliances at the best price.I would most definitely pick the LG 6.9 Cu. ft. gas range and a Double Oven with ProBake features. The Double Oven circulates air evenly throughout the lower oven OR ProBake Convection speeds cooking times for fast and flavorful meals. 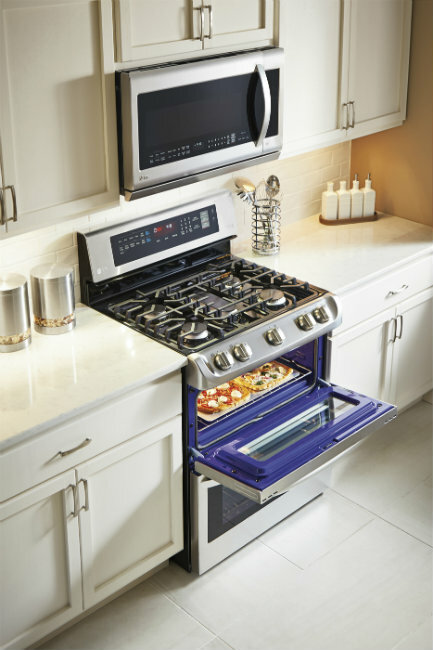 Oh the things that I can create with this gas range and ProBake oven from LG….. but wait….. there is more. How about the fabulous LG InstaView door in door french door refrigerator? This is what I would want next for my kitchen as the possibilities are endless with this amazing refrigerator. 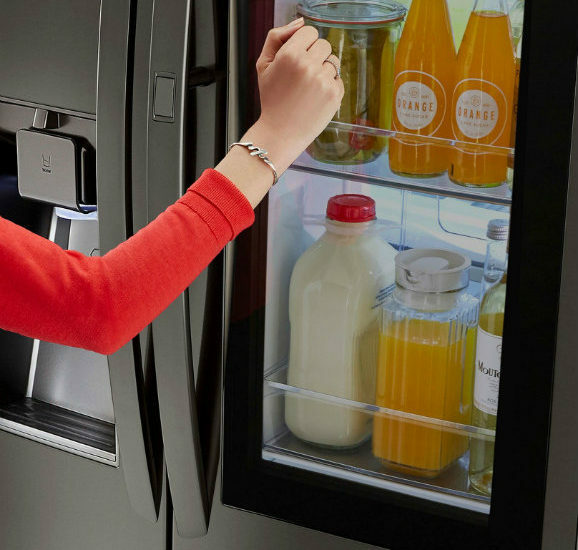 This refrigerator features a sleek glass panel that illuminates with two quick knocks on the right-hand refrigerator door, letting you see inside the easy-access compartment without ever opening the door. That is ingenious and a quick and easy way to see what you need…. like milk? That is a never ending item of need in my household. So are you like me and absolutely loving this fabulous line of LG appliances available at Best Buy? Well right now you can save $100–$400 when you buy a select LG refrigerator, range OR wall oven, over-the-range microwave OR cooktop, and dishwasher. Save an additional $100 when you choose a package in black stainless steel (excludes cooktops). Plus, save an additional $100 when you buy a select LG washer and dryer! In total you can save up to $600 on an LG Kitchen Appliance Package available at Best Buy. The possibilities are endless when building your dream kitchen which is perfect for Prepping for The Holidays and more! Maybe my family would stop opening the fridge door if we had this. This is one cool fridge. That fridge with the glass door is EVERYTHING!!!! Love it! Thanks for the info and the giveaway!!! I think putting fruits and veggies in that door (rather than the fruit crisper, where good intentions go to die) would help increase my 5-a-day intake. Love the refrigerator and the glass door is awesome. I would love to have a fridge with a glass door. Awesome! This fridge looks so much better than the fridge I have now. I love it! These appliances look really nice, I love that refrigerator with the window, how nice is that, and that cook stove . A glass door would make me keep the fridge cleaned out better LOL! I would love to upgrade to these awesome LG appliances! I have always wanted a double oven and being able to see into the refrigerator without opening the door is awesome! I really like the LG InstaView door in door french door refrigerator. My husband and I will be purchasing a home late next year and this is the refrigerator I want. So nice! Ok. it LOOKS really cool but i’d be embarrassed to have a clear fridge. We sometimes have “science experiments” growing in there. 😮 . Sure miss my water dispenser on the fridge though. didnt know appliances could actually be described as BEAUTIFUL but THESE sure are. I love going to Best Buy to dream about the best tech products. Us too 🙂 Best Buy is my husbands favorite store for sure. I would really love to upgrade to all LG appliances! Thank you for sharing. Love the appliances. Getting that time to start the cookie making. Very nice — love the look of this Fridge. Wow! I would love to have this refrigerator! These are my Dream kitchen appliances!